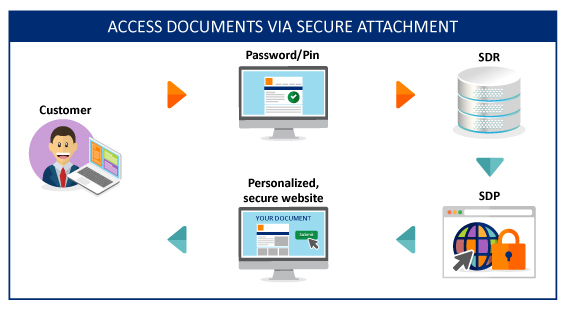 We are excited to announce the launch of our new solution – Secure Document Presentation (SDP). 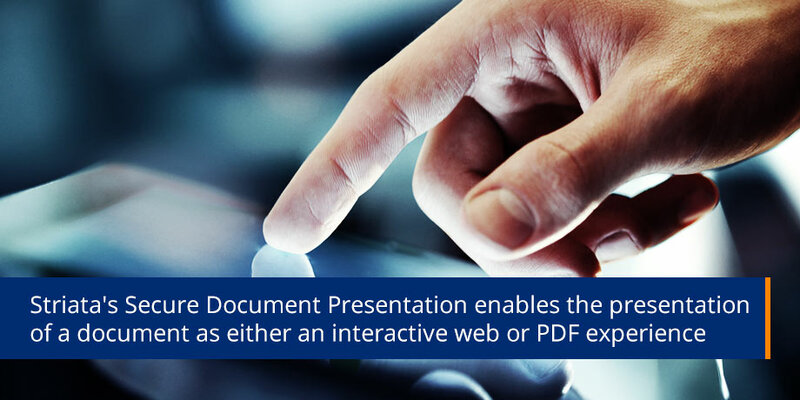 The SDP enables the presentation of a document as either an interactive web or PDF experience. The document contents are secured, available online and viewed via a browser or mobile application. Striata’s Secure Document Presentation (SDP) solution is a highly secure method of providing online access to information contained in confidential documents. It is an augmentation of our Secure Document Repository (SDR) solution, which provides the ability to safeguard documents containing highly sensitive financial and personal information in a secure vault. Customers appreciate being able to choose how and when they access their personal documents and it goes without saying they expect their documents to be easy to find, easy to access and totally safe. Designed to interface with your existing customer portal, the SDP enables a significantly enhanced customer experience through navigation and interactivity, without exposing security vulnerabilities which could put the document contents at risk. In addition to the security benefits, the SDP offers a compelling business case – customers can access highly interactive documents in a secure online environment rather than engaging via more expensive channels. A customer receives an encrypted PDF bill by email and wants to interrogate or drill down into the data. They open the PDF attachment using the password, pin or ‘shared secret’. They click on a link in the secured document to view the contents as a PDF or as if it were a secure, highly personalized, self-contained website. Graphing, sorting and embedded data files are all available. A customer requires their bills for the past 6 months. They log onto the company’s secure web portal and select the document type and date range they require. Striata’s SDR locates the documents and passes them back to the portal. The SDP allows the customer to view the documents as a PDF or as if they were secure, highly personalized, self-contained websites.